UPDATE: California's Dept. of Water Resources is promising to complete by this fall a "forensic" study of February's near-catastrophic collapse of two spillways at Oroville Dam in Butte County. DWR is embarking on a fast-track plan to replace the shattered spillways at Oroville Dam -- at least partially -- by November 1, when the rainy season is expected to resume. 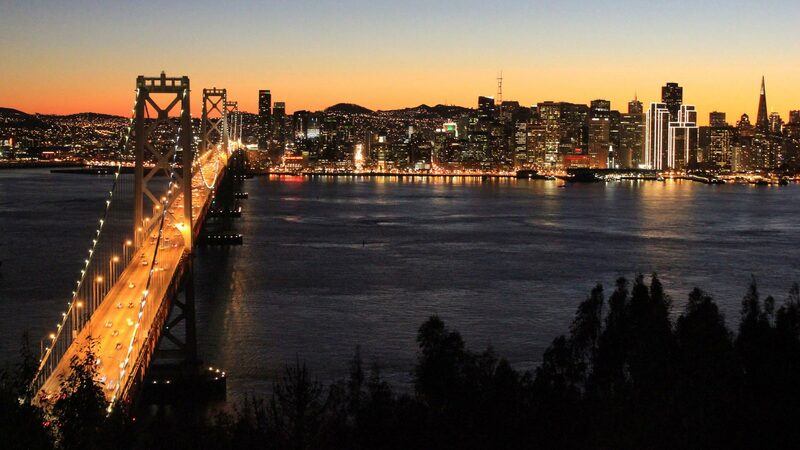 Engineers have largely completed geotechnical studies, hoping to better understand what led to the failures. 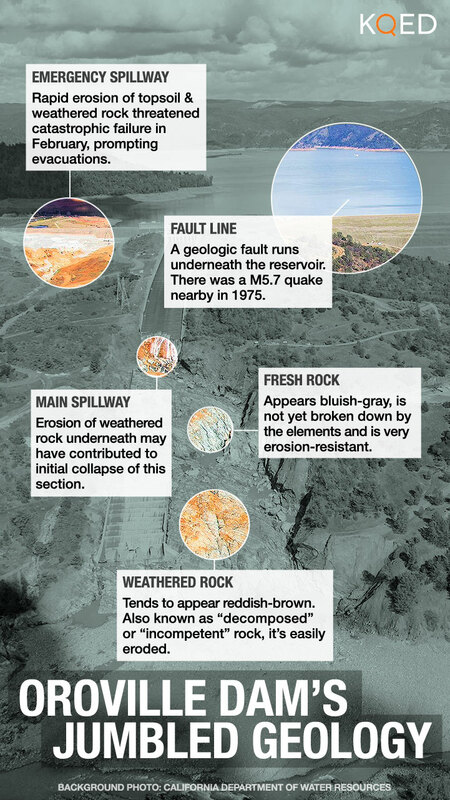 And while DWR has declined to release those studies, citing national security concerns, an independent review corroborates conclusions in this story that the underlying geology of the site was at least partly to blame. "Fresh" is the term geologists use for rock that is fully intact and has not yet begun to break down. It is typically smooth and highly resistant to erosion. But much of the rock those spillways relied upon is "weathered," the more fractured rock that is decomposing from long exposure to the elements. "The fresh rock has been combined with the atmosphere," explains Moores, and when that happens, you get this chemical change and you produce this softer sort of rock that’s falling apart." Engineers call that “incompetent rock.” And that, says Moores, is what Oroville’s main concrete spillway was built on and what the emergency spillway was made of. In February, as intense storms filled the reservoir, both began disintegrating under the force of billions of gallons of water cascading over them. A few miles from Oroville, Moores demonstrates by taking a rock hammer to two rocks that sit side-by-side at a spot along the Yuba River -- one fresh, one in an advanced stage of weathering. "Hear that?" he asks, as his hammer bounces off the smooth, bluish-gray fresh sample with a distinctive "tink." Then he thumps the reddish-brown weathered rock with a series of dull thuds, which sounds less like stone than rotting wood. "That [fresh] rock is resistant to water pouring over it," he notes. "This is not. It’s on its way to becoming dirt. if you dump your overflow into rocks like this, of course you’re going to erode them." 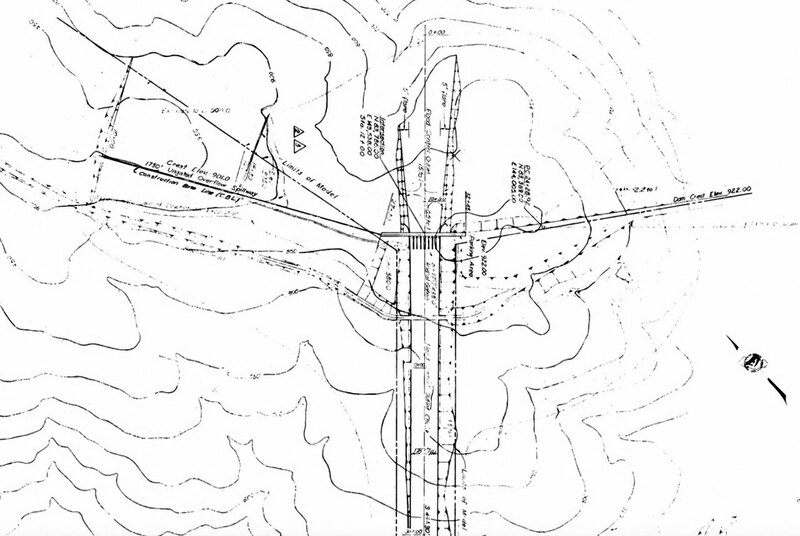 A 1961 planning document for Oroville Dam says the site is “blessed with a geologic structure and foundation rock which are suitable for the foundation.” It also suggests excavating down 18 feet to clear away “soil and weathered rock” for the main body of the dam. 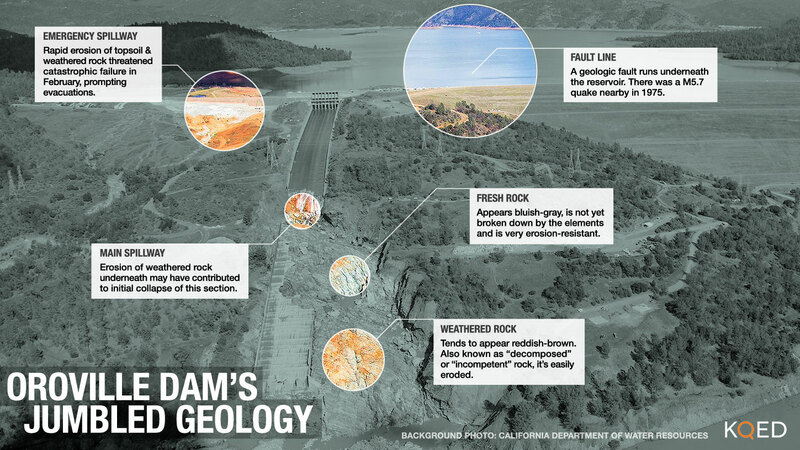 So it’s clear that builders working for the state were aware of the “incompetent” rock that’s prevalent at the site, but it's less clear that similar excavations were suggested, let alone required for the spillways, which sit off to the side of the main dam. Though the dam was completed nearly 50 years ago, Moores says the rock at the site would have already been substantially decomposed, as the weathering process takes place over hundreds or thousands of years. "It was not any different when they built the dam," he says. It was sheer good fortune that dam operators never had to use the earthen emergency spillway until this year. But in February, with the main concrete spillway already crippled, they couldn't empty the dam fast enough to keep pace with winter storms. 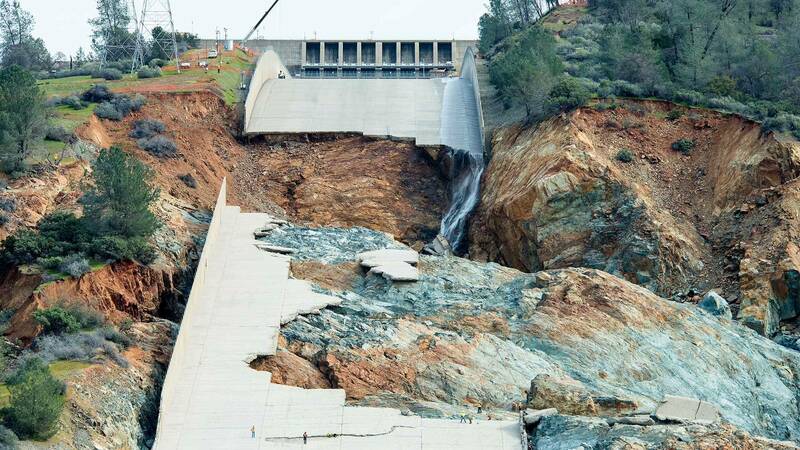 The lake level rose quickly and rushed over the concrete lip, or "weir" of the emergency spillway. 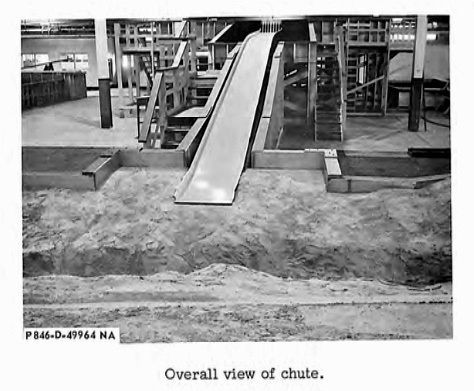 The earthen slope below the weir quickly disintegrated with water tumbling over it at 12,500 cubic feet per second, though design documents from the 1960s show that it could have to handle flows of 20-to-30 times that. "I find that astounding that they would rate it like that," says Moores. "It seems to me that even a student of geology could have told them that they were going to have an erosion problem here." Knowing what he does about the geology of the Sierra, I asked Moores what it tells him about other dams around the state of similar design and siting. "I worry," he said. "That’s what it tells me about the rest of the dams." On Thursday, acting DWR engineering chief Jeanne Kuttel told reporters that the new main spillway, when completed in two years, will be able to carry nearly twice the volume of water that the original concrete chute was ever called upon to do. She added that the new emergency spillway will be bolstered with retaining walls and channels made of erosion-resistant roller-compacted concrete -- just in case. "Our intent is to not to have to use the emergency spillway ever again," said Kuttel. "However, we know that Mother Nature throws a lot at us, so we're gonna be ready."